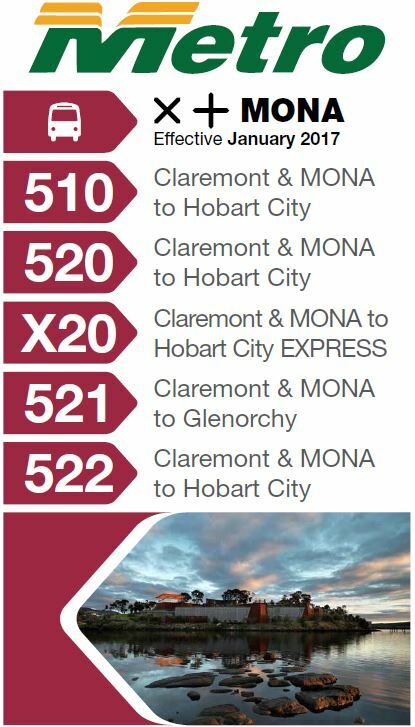 Only portions of routes servicing MONA are shown here, for full details click on the route numbers above. Service operates on Friday nights only. 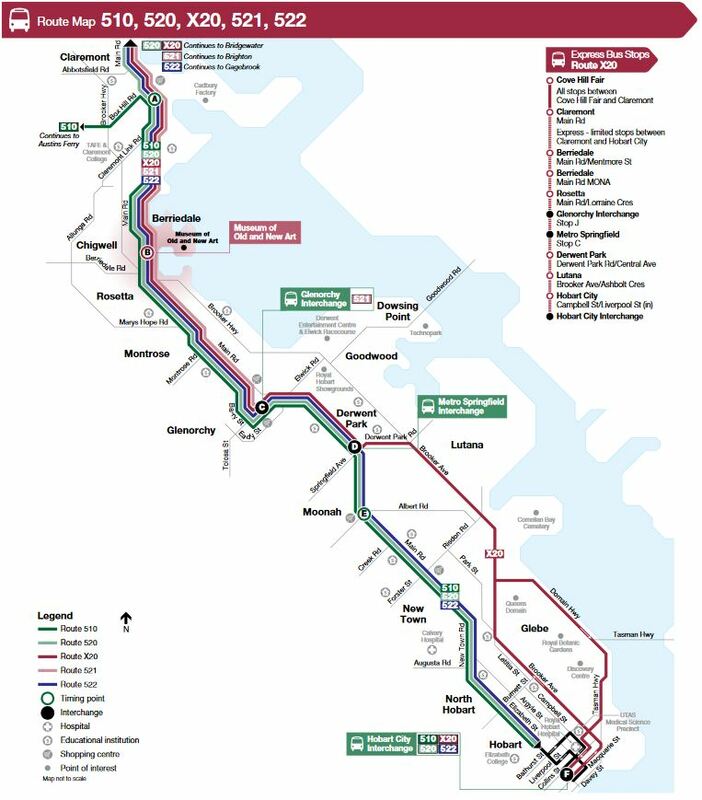 Departs Glenorchy Interchange Stop J.
Departs Glenorchy Interchange Stop C.
Departs Glenorchy Interchange Stop D.
Departs Hobart Interchange Stop E.